Would you pay for poo from a zoo? It's called "Zoo Doo," a composted mixture of manure. And a zoo in Michigan is selling the stuff. Binder Park Zoo in Battle Creek is hosting a "Zoo Doo" event Thursday and June 5. The zoo has compost available from herbivores - animals that feed on grass and other plants - that will sell at $25 a load to zoo members. Nonmembers will pay $30. The price is a deal, since cow manure can sell for around $2 or $3 a bag. That's what horticulturist Frank Cummins told the Battle Creek Enquirer. Zebra, antelope, giraffe and other animals are contributing to the gardening aid, the Kalamazoo Gazette reports. Binder Park Zoo says it's a "fun and creative way" to raise money. And dispose of waste. It also uses the compost as fertilizer at its facilities. Critical thinking challenge: Why would a zoo sell this stuff. Who benefits? The buyer, the seller or both? Is fire a solid, a liquid or a gas? The zoo would sell this maybe to buy things that the animals like food, new toys and cleaning supplies everbody benefits from this the buyer gets money and tge seller makes the plant grow. No. I would not buy it if it were very valuable because I won't need it. If I were to plant a garden or a flower bed than I would just use dirt, save rain water and sunlight. Binder Park Zoo in Battle Creek, Michigan is selling the waste of herbivores. This idea benefits both the buyer and the seller. For the seller, it gets rid of the waste and raises money. For the buyer, the "Zoo Doo" helps gardens because it is filled with nutrients. The zoo sells the doo for $30 to non-members and $25 to zoo members. An easy way to raise money. 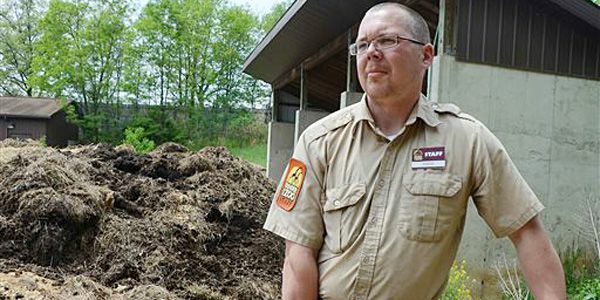 Using manure from herbivores at the Binder Park Zoo is a creative and resourceful way to help eliminate the large amounts of work needed for the disposal of waste. The use of the animal excrement could also benefit local farmers along with the Binder Park Zoo. 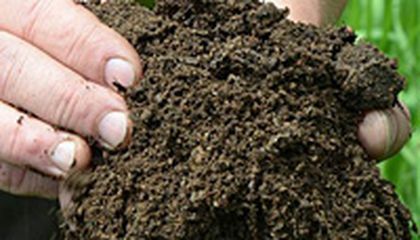 The bargain-priced compost could assist low-key farmers by having a pocketbook-friendly compost compared to one fashioned with cow droppings. The money that the Binder Park Zoo could make would also go right back into the zoo, to enhance the animals' habitats, establish new and innovative exhibits, or to create new tourist attractions. The zoo in Kalamazoo will also be able to use their very own compost for plants and animal habitats. I don't see the difference between this kind of manure and regular cow manure. But, if it's helping out more then I guess it's making a difference. At least some parks are switching to it and trying their best to give the animals in their zoos the best and safest kind they can. I actually think this is a pretty interesting way to raise money for the zoo. Although I like to help out in the garden, I would not want to buy the manure directly from the zoo. I would like to do this just to aid the zoo in raising money, but something inside is just telling me not to. I would not buy zoo doo because I do not farm or plant anything. I probably would if I was a farmer because that is a cheap price for it. I would buy poo from a zoo if I owned a farm and needed maneuver. I think this is a great way of recycling. It is also a good way to raise money and to make sure all the zoo animals are healthy. I don't need this zoo doo. I don't really plant and it obviously smells. A zoo would probably sell this stuff for people who are cheap to buy real planting soil. Im not sure if a lot of people would buy this. The zoo is selling this "Zoo Doo" because manure helps with gardening and other outdoor activities. Both the seller and the buyer is benefiting because the seller gets rid of the manure & the buyer is helping their plants.